Inflatable kayak for two people complete with two paddles and air pump. We provide a wide range of FRP Kayaks, Boats that is high on demand among our esteemed clients. Manufactured from high quality Fiber-reinforced plastic. Our FRP Kayak is very strong and endurable in nature. The canopy is used in a number of applications for making shades. Our FRP Kayak is available in varied shapes and thicknesses as per the requirements of the clients. 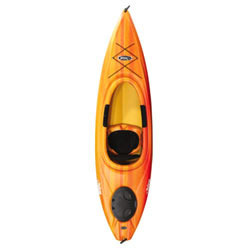 We provide a wide range of FRP Kayaks that is high on demand among our esteemed clients. Manufactured from high quality Fiber-reinforced plastic. Our FRP Kayak is very strong and endurable in nature. The canopy is used in a number of applications for making shades. Our FRP Kayak is available in varied shapes and thicknesses as per the requirements of the clients.